Interview with author and illustrator Amy Huntington. Write The Book is a radio show for writers and curious readers. Hosted by Shelagh C. Shapiro, Write The Book airs on WOMM-LP 105.9 FM “The Radiator,” in Burlington, Vermont, every Saturday morning at 9:30 a.m.
Interview with Annie Downey, author of Hot and Bothered. Write The Book is a radio show for writers and curious readers. Hosted by Shelagh C. Shapiro, Write The Book airs on WOMM-LP 105.9 FM “The Radiator,” in Burlington, Vermont, every Saturday morning at 9:30 a.m.
Interview with Elizabeth Bluemle, children's author and bookstore co-owner. Write The Book is a radio show for writers and curious readers. Hosted by Shelagh C. Shapiro, Write The Book airs on WOMM-LP 105.9 FM “The Radiator,” in Burlington, Vermont, every Saturday morning at 9:30 a.m. Readings by Elizabeth Bluemle, from Dogs On The Bed (Cambridge, MA: Candlewick Press). Copyright © 2008 by Elizabeth Bluemle. Recorded with permission. Interview with Douglas Stewart, literary agent with Sterling Lord Literistic, Inc. Write The Book is a radio show for writers and curious readers. Hosted by Shelagh C. Shapiro, Write The Book airs on WOMM-LP 105.9 FM “The Radiator,” in Burlington, Vermont, every Saturday morning at 9:30 a.m.
Interview with David Huddle, author of Glory River. Write The Book is a radio show for writers and curious readers. 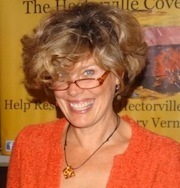 Hosted by Shelagh C. Shapiro, Write The Book airs on WOMM-LP 105.9 FM "The Radiator," in Burlington, Vermont, every Saturday morning at 9:30 a.m. Readings by David Huddle, from Glory River (Baton Rouge: LSU Press). Copyright © 2008 by David Huddle. Recorded with permission.